A Diverse landscape, marked by expansive flat valleys, streams, jagged hills and Mountains. As well as being home to the idyllic Marlborough Sounds, it is the largest wine producing region in New Zealand. Marlborough is one of New Zealand’s sunniest and driest areas: the region receives about 2,400 sunshine hours per year. Warm days, cool nights and an average daily temperature of18º C (64º F) ensure that Marlborough wines possess vibrant fruit flavours, firm acidities and heightened aromatics. We harvest fruit from both estate and grower vineyards located in Marlborough's two marquee regions. This region takes its name from the local river and is the cooler of the two regions. It features a unique stony Greywacke alluvium soil that is well draining and ideal for grapes. Wines from Awatere are known for their higher acid levels and distinct minerality. Located to the north of Awatere, this region derives its name from the Wairau River which flows from the mountains in the west to the ocean at Cloudy Bay. It possesses shallow, stony, fast-draining soils that encourage low yields and vibrant, tropical fruit characters. 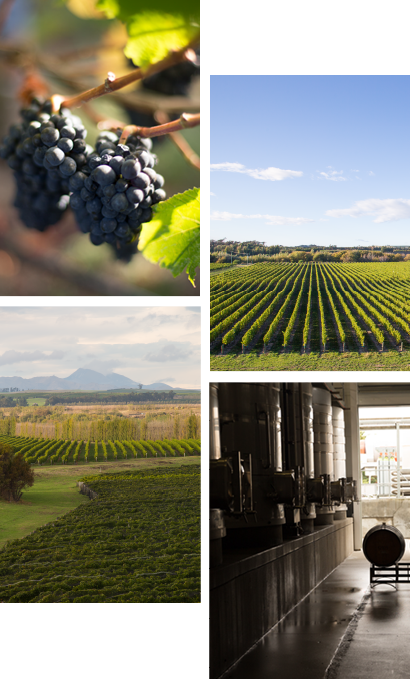 All of our vineyards are sustainably farmed and Clifford Bay Winery is Sustainable Winegrowing New Zealand certified.